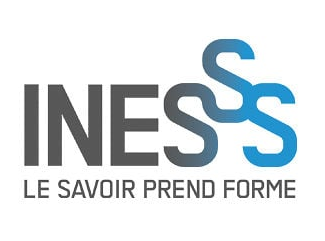 The Institut national d’excellence en santé et en services sociaux (INESSS) released its new submission guidelines on June 2nd, 2017. The guidelines, which are now effective, include revised and new Form applications and letter templates for drug submissions. The two major highlights relate to pre-NOC review and the introduction of new guidelines for biosimilar submissions. Unlike the CADTH pre-NOC guidelines where all drugs are eligible when Health Canada is highly likely to issue an NOC or NOC/c for the indications to be reviewed by CDR within 90 calendar days, INESSS has introduced three conditions that need to be met for eligibility for the pre-NOC review process. The medication treats a serious health condition. The available data indicates that the medication significantly improves the patient’s health versus the currently listed treatment options on either the Régime général d’assurance medicaments (RGAM) Formulary or the Drug Formulary for Institutions. The NOC is expected within 180 days for cancer drugs and within 90 days for any other drugs. Prior to the release of these guidelines, there has been stakeholder speculation that there may be changes to the timing of formulary updates and the introduction of submission fees in Quebec. This speculation did not materialize with this update of the guidelines. The new guidelines do not impact the timing of formulary updates. Formularies will continue to be updated according to a schedule established by the Ministre de la Santé et des Services Sociaux, and the schedule still allows for three updates per year. In addition, INESSS has not introduced submissions fees (similar to CADTH) for the time being. MORSE would like to thank Helene Lalonde, Pendopharm’s Manager of Market Access & Reimbursement for helping prepare this important update. Please click here to read the new guidelines.